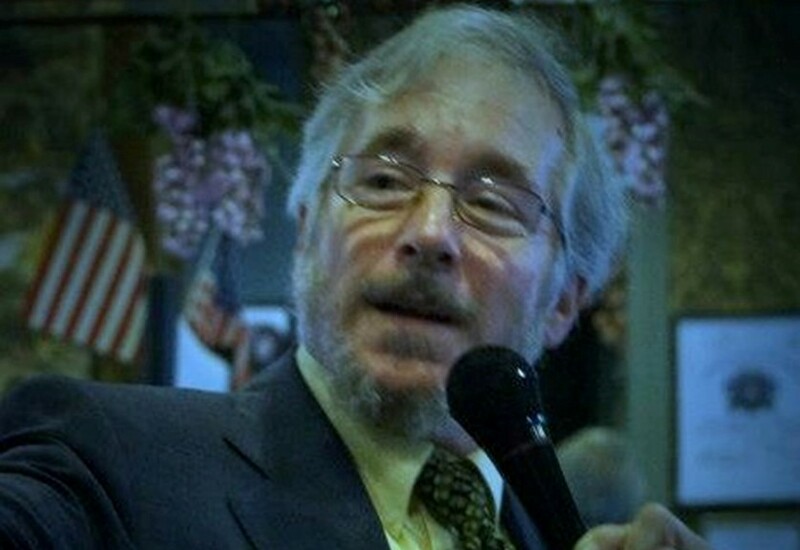 About Chip Reichenthal(RYE-kin-thall): is a published Author and Radio Host who has been fascinated with the afterlife and its research element for over 30 years, since speaking with his best friend at the time of the best friend’s death in 1979. Chip comes to us with vast background in paranormal investigation and research, and has had success in metaphysical elements as well, with a past as a Spirit Medium and an excellent grasp of Tarot. Chip has a unique outlook, as his early experiences with “Ghosts” or the dead were with friends and family members who passed, and he sees his entry into paranormal experiences as ‘love-based’ rather than ‘fear based’, and he feels compelled to help others see ‘Spirit’ in terms of respect rather than fear. Chip adamantly believes people interested in investigating ‘hauntings’ should research those thought to be ‘Ghosts’, and honor the history of those ‘Ghosts’ by engaging them with courtesy and respect, thinking they’ve lived lives worthy of respecting, as we would our elders. To date, Chip has never been negatively encountered by ‘Spirits’ due to these methods, and hasn’t even received an ‘EVP’ with angered tones or foul language. As long as Chip has a voice in our industry, he will try to encourage positive aspects behind communication with discarnate energies, and help to present these energies in a positive light. Chip hosts his own Radio Show, “Beyond the Norm”, which hopes to get answers to metaphysical and scientific anomaly and speaks to many theorists and expert voices in science, physics, metaphysics, paranormal, UFOlogy and parapsychology to help expose new theory and practice. His show airs currently on the A1B Radio Network. Chip has been a researcher, historian and investigator for the Glory Haunt Hounds Paranormal Team, with the Team’s leader John Tobin, and Chip had a popular Radio Show with John called “Keeping the Spirits Alive” which ran on the Dark Matter, A1B, Para-X and DTM Wicked Radio Networks. Chip has the great privilege of expressing his views and positivism during his opening segment every week on "Keeping The Spirits Alive", called "Chipism", and on ‘Beyond the Norm’ and tries to include some interesting history and classic poetry or literature, in helping emphasize points for paranormal topics, in hopes the listeners can gain more worldly knowledge while embracing weekly guests that are often pillars of the paranormal community. Chip has gotten to know many of the paranormal industry’s most renowned figures, and is working with some of our Nation’s finest mediums, parapsychologists, experts and investigators, in the hopes of getting to the heart of the truths behind the afterlife. 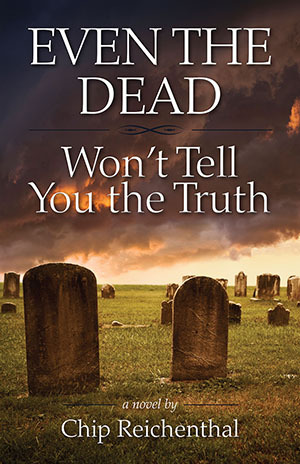 Chip has a fiction novel from Rowe Publishing currently in stores and through Amazon, Barnes and Noble and Rowe Publishing sites entitled “Even the Dead Won’t Tell You the Truth”. The book is rooted in personal truths and experiences and is a fiction work about a spirit medium that is challenged when his best friend is charged with murder. The friend, in desperation, asks the medium to try communicating with the murder victim in an attempt to clear him. Some questions arise, in the book, on whether the dead could lie to us whilst I communication with them. Chip has a sequel in the works, as well as a non-fiction book regarding the ‘Kinder Side of Afterlife Sciences’, ultimately aimed at offering persons in grief ways to see that their loved ones are not lost to them, while also offering ways in which persons in paranormal and metaphysics can look toward discarnates in terms of respect, endearment and kindness. Chip currently is a contributing writer for “Supernatural Magazine”, an online publication. Chip has also authored a science-fiction novel called “No Turn Unstoned”, which is not yet released but both books are already in talks to be turned into Movies. He also has appeared in acting roles in three Independent Films, and is due for two more this year, including one that makes him SAG-eligible. Chip Reichenthal has several speaking engagements through the coming year, and is teaching classes and lectures about the kinder side of afterlife sciences, bringing kindness and ‘the art of nice’ into our lives as well, and he also counsels persons through Tarot readings and hypno-therapy sessions. There are several Paranormal Conventions in the Northeastern US where Chip will be featured. Who knows what the future brings, but Chip hopes whatever comes along will grant him the opportunity to inspire others toward the positive side of our realm, and help bring hope and loving counsel to friends, clients and listeners alike. I wanted to thank Steve Toth for a really enjoyable time, and an insightful interview. I really felt at home, and we even had a few laughs! I'm glad I got the opportunity to be on Mind Body and Soul TV on the Conscious Evolution Network, and I would do it again in a heartbeat.